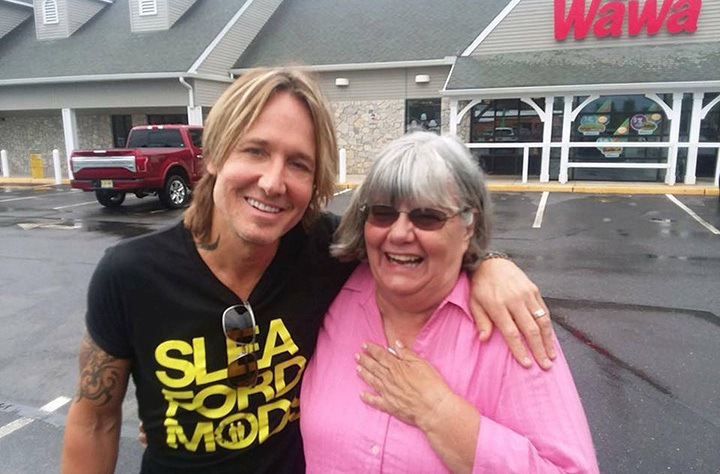 A kindhearted woman in New Jersey helped a stranger who was short on cash only to learn it was country music star Keith Urban. Ruth Reed, age 62, works as a teacher. She was grabbing a bite at the Wawa along Route 541 in Medford when she saw the ‘struggling customer’ ahead of her was having an issue at the register. “It looked like he was using a card and it didn’t go through and then he asked a young lady for five dollars and I thought this is it so I said ‘No I’ll get it’,” Reed said to CBS Philly. Although she had suspicions that he looked like somebody she had seen before, she didn’t immediately recognise that it was him. “And he said what’s your name? 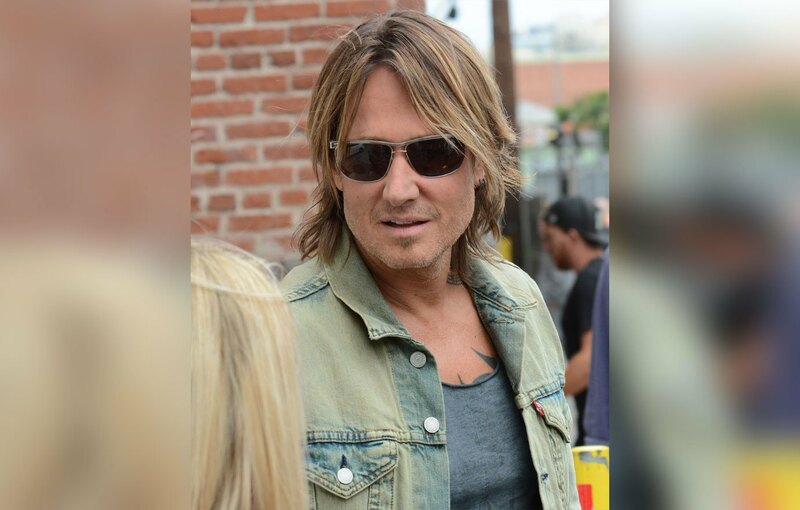 Ruth, he said ‘Ruth I’m Keith’ and I said ‘That’s who you look like Keith Urban do people ever tell you that you look like Keith Urban’ and he said ‘I am Keith Urban’,” Reed said. She was still unconvinced by the strange man, even asking why Nicole Kidman, his wife, wasn’t with him! It was at that point she noticed Urban’s bodyguards and realized it really was him. “And I just fell apart,” Reed recalled. 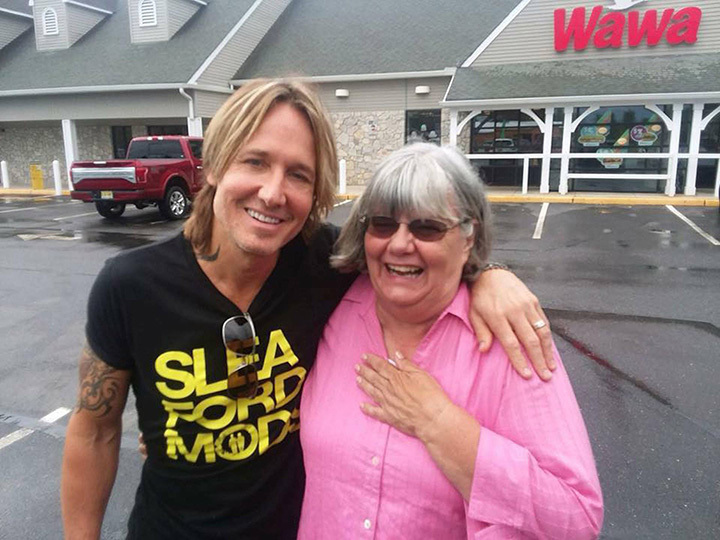 She said Keith was “very gracious” for her kind act, and posed for a picture with her before he headed off.